Last week we spent 5 days in Bath with my sisters’ family. We try and get away with the kids once a year as the kids love it and we always have a great time. This is the first year I’ve embraced the need for a wheelchair as it’s no fun waiting in the car and hearing all about the fun once it’s all over. 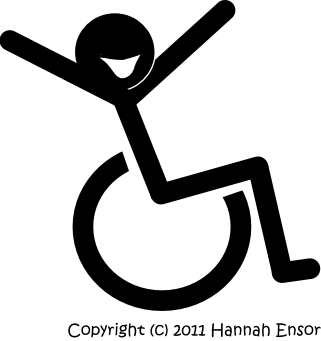 I’ve learned quite a lot about how to manage a wheelchair and have put together the following tips. Find someone nice to borrow a chair from. My local MS Treatment centre has a stash of wheelchairs that they lend to members’ for days out and holidays free of charge. The Husband’s car is poorly and on its last legs so we decided to take my VW Polo. Although it’s a great car and could easily fit all our bits in it for the trip we could fit either the wheelchair or the children into it, but not both. After much agonised soul searching we decided it was probably best to take the children but luckily my Brother in Law has an enormous, A-Team style, transit van that could easily accommodate the chair. Avoid 2000 year old cobbles. We visited the Roman Baths in Bath and they were fantastically geared up to wheelchair access. As soon as we arrived a lovely gentleman took The Husband and I aside and showed us how to use all the lifts and gave us a suggested route to make sure we saw 80% of the site. This worked really well and I had great fun practicing getting myself around the tight corners rather than relying on The Husband to push me everywhere. The large cobbles around The Great Bath were more of a challenge though and the uneven surface made me prefer to sit quietly in the corner as images of me trundling down the steps and into the hot water flashed through my mind! My 2 year old walks very well and was even vaguely interested in the Baths for about 5 minutes! By the end of the afternoon she was flagging so clambered onto my lap with her bunny and was quite happy to be pushed back to the car. By then the cobbles had taken their toll on the chair and the tyres kept coming off the front wheels resulting in us having to dismount several times while The Husband fixed it. My 4 year old nephew also insisted on placing a protective little hand on the arm rest so he could walk with us. Be aware of un-licenced drivers. The novelty was irresistible to my 6 year old Son and 7 year old Niece who took it in turns to push me about resulting in much hilarity but some very hairy moments! It’s much better to stay on the paths, we found, than taking short cuts anywhere. Avoid curbs, drains, steps, steep slopes and ditches. This will, I assume, be fairly self-explanatory. Try to avoid running people over. My son has very little spacial awareness and constantly trips over his own feet but this is quite hazardous in front of the chair and could result in carnage! Bearing all this in mind we had a great holiday and the kids were very sad to come home! This really made me chuckle. It is obviously not what you do but the way that you do it! It made me chuckle writing it!